Welcome to another mixing method post. Today, we’re talking the muffin method: what is the muffin method, muffin method steps, examples and more. Settle in, friends. This post contains affiliate links. For more information, please see my disclosure page. 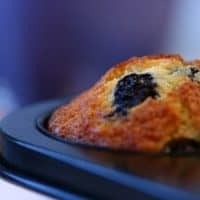 The muffin method is the mixing method to use when your recipe doesn’t contain much fat (and it is all in liquid form) to make sure your muffins, quick breads, and pancakes bake up nice and tender. 2 What Is the Difference Between a Muffin and a Cupcake? 3 What Else Can I Use The Muffin Method For? 6 What Size Should I Make My Muffins? What Is the Difference Between a Muffin and a Cupcake? You’ve got two basic options when it comes to making muffins: you can use The Creaming Method, or you can use The Muffin Method. As far as I’m concerned, the creaming method is for cakes. Tasty and all, but just not the same thing. So, let’s forget the creaming method for muffins and focus on the eponymous Muffin Method. What Else Can I Use The Muffin Method For? Tender muffins are only one of the kinds of batters you can make using the muffin method. Here are the steps in the muffin method. This is a method you do not want to use the mixer for. Trust me, as much as you love your stand mixer, your muffins will be better if you mix them gently by hand. More on this in a bit. 1. 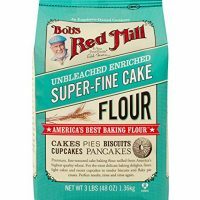 Whisk the dry ingredients–low-protein flour (White Lily is a nice one if you’re in the southern US, or use cake flour) together with salt, sugar, leavenings and any spices–together in a large bowl. Whisk your dry ingredients together very well. You are looking for even dispersal of the salt and leaveners. Sifting doesn’t necessarily do a great job of this, so whisk all the dry together thoroughly, for at least 20 seconds. More would be good. 2. In another bowl or a large liquid measure, combine all the wet ingredients–dairy (milk, cream, 1/2 and 1/2, sour cream, creme fraiche), eggs, liquid fat, liquid flavorings. Notice I said “liquid fat.” This is one of the points where the muffin method differs from the creaming method which relies on creaming solid fat and butter together to help with leavening. When you add the fat to the liquid, you want to make sure that all of the liquid ingredients are at room temperature. You want the fat to be evenly dispersed throughout the batter. For this to happen, you’re going to have to have the rest of the wet ingredients warm enough that the butter won’t turn hard on you the moment you pour it in the measuring cup. 3. Pour the wet on top of the dry and fold them gently together. Let’s take a moment to really look at what’s going on here. You’re trying to mix a lot of water-type ingredients together with flour that hasn’t been coated with fat. Remember, in the two-stage mixing method, we coated our flour with a good amount of fat to inhibit gluten formation. Here, we don’t have that luxury. In the muffin method, we are pouring a ton of wet ingredients on poor, defenseless flour. How do we keep from having dense, chewy muffins, then? we’re using a low protein flour, so that’s a good thing–low protein equals less gluten formation. The batter will be somewhat lumpy, and it will be much thinner than a batter made with the creaming method, but you’ll just have to trust that it’ll be okay. 4. Scoop your batter into well greased (or paper-lined) muffin tins. Fill the cavities about 3/4 full. At this point, if you are leavening with baking powder, you can let the batter sit for 15-20 minutes. This gives the flour time to properly hydrate. It will sort of magically finish mixing itself. Double acting baking powder gives some rise when it gets wet and then some more when it gets hot, so your muffins will still rise in the oven, even after sitting out for a bit. If the recipe only calls for baking soda, skip the resting step, as the bubbles are all given up when the soda gets wet. 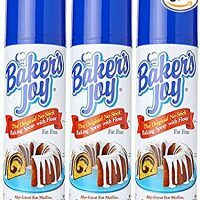 With recipes that only call for baking soda, you want to get those little guys in the oven as quickly as possible before the chemical reaction stops. 5. Bake at a relatively high temperature–400 or even 425 degrees, F.
So, why this high temperature? To me, and to lots of folks, muffins are defined by their crowns–their majestic peaks. In order to get this to happen, you have to bake at a high enough temperature that the edges of the muffin set pretty quickly. The batter will set in concentric circles, from the outside, in, and as each “band” of batter sets up, the remaining batter will continue to rise. The last to set is the very peak. If you bake at a lower temperature, you will end up with a domed, rather than peaked, muffin. If you like them domed, go for it, and bake at a lower temperature. Just wanted you to know the “why” behind the peak. 6. Remove from oven. Cool in pans for about ten minutes, and then turn out to cool completely–or not. You could just go ahead and eat one. After you’ve baked your muffins, you can test yourself to see if you’ve done an Excellent Job with the muffin method. Cut or break a muffin in half, right down the middle, from peak to bottom. Look at the crumb. It should be fairly coarse but moist. It should also be very uniform. If you have little tunnels running up through the muffins, you know that you were a little too exuberant in your mixing. The tunnels show the path of air bubbles as they passed through the batter and were caught by sheets of gluten. The gluten then sets in that bubble-path shape, a silent reminder of your enthusiastic mixing. 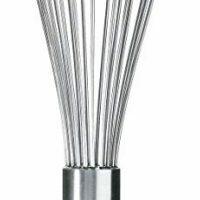 Whisk dry ingredients together thoroughly. Have all wet ingredients at room temp. Not the creaming method’s magical 68 degrees, F, because you’re not worried about the butter’s remaining plastic–it’s already melted. By room temperature, I’m talking probably 70-72 degrees, F.
Fold gently. Stop before you think you’re finished. Let the batter sit (baking powder only). Bake at a relatively high temperature. 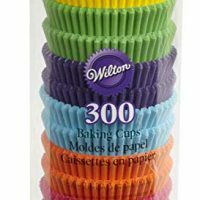 What Size Should I Make My Muffins? The keen thing about making muffins is that you can make them in all sorts of sizes–mini muffins, regular muffins or jumbo muffins. Pans are readily available, too, which makes it easy to get started. 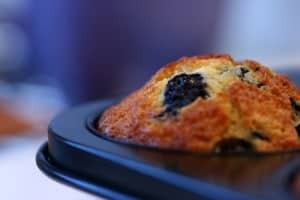 You can bake your muffins in silicone muffin “tins,” but I don’t recommend it. While they won’t stick, which is great, they also don’t brown since silicone is such a good insulator. Save silicone molds for goods you won’t be baking, like ice cream and candies, or for lining your pans, as with Silpat. As far as I’m concerned metal pans are the way to go. Here’s a basic recipe to practice with. By basic, I mean: add any fruit, nuts, spices, zests that you want. Add chocolate chips. Change up the fat–use oil. Experiment with changing up the dairy. Top with streusel if you want. Make it your own. 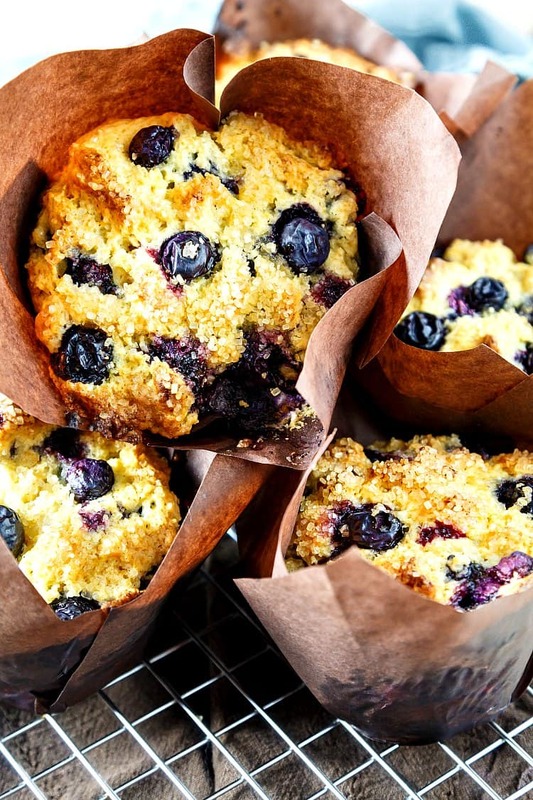 Beautiful, tender blueberry muffins made using the muffin method. 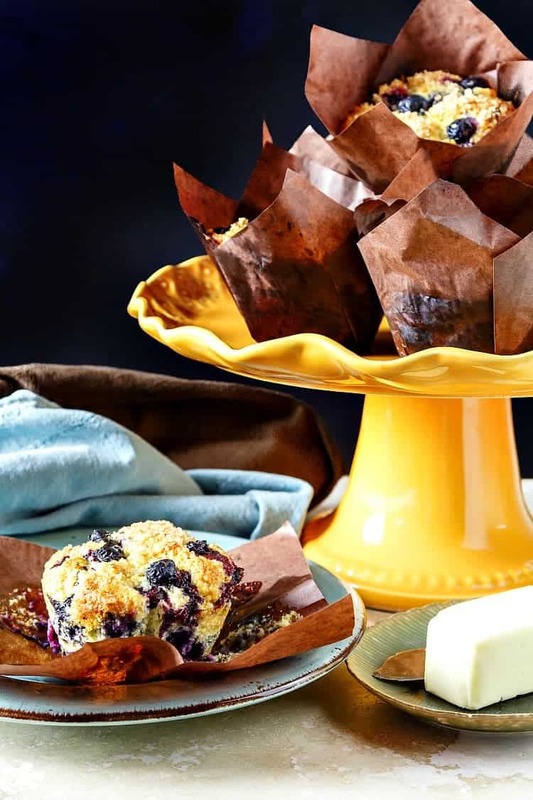 Click the photo to get the recipe for Ritz Carlton Blueberry Muffins. Incidentally, that post also has a discussion of how to do the muffin method. Yes, it’s that important. Use the muffin method to make this basic muffin recipe and change up the flavors however you like! All measurements are by weight, including liquids. Position a rack in the center of the oven. Preheat oven to 425F. 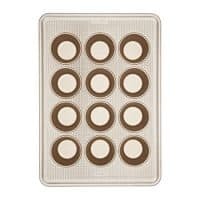 Line a 12-cavity muffin tin with paper liners or spray lightly with pan spray. Set aside. Whisk together the dry ingredients in a large bowl--flour, sugar, baking powder, and salt. Whisk together the wet ingredients in a small bowl--egg, milk, and melted butter. Make a well in the center of the dry ingredients. Pour in the wet, and stir/fold until mixed but still a little lumpy. 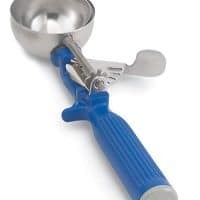 Allow the batter to sit for about 10 minutes, then portion out using a disher (ice cream scoop). Bake until well risen, nicely peaked, and deep golden brown on top, 15-20 minutes. Baking time and yield are both for standard muffins. If making minis or jumbos, adjust accordingly. Nutritional Information is calculated for the basic recipe, without any mix-ins. Flavor the batter with citrus zest, spices, extracts, and/or herbs. 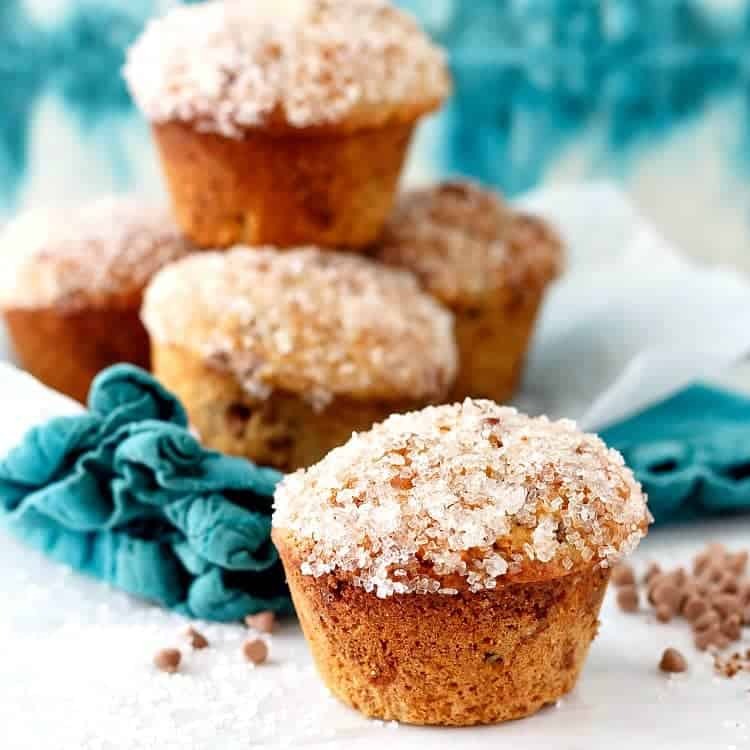 Top muffins with sparkling sugar or a simple streusel. Now, go make some tender muffins. No tunnels. 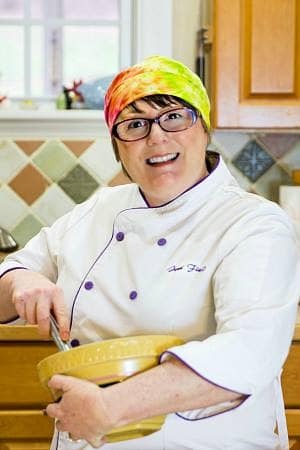 If you are interested in reading about other cake mixing methods, see my cake mixing methods post. It has links to all the other mixing methods I’ve written about. And for some great pictures of all the steps in the muffin mixing method, go check out Joe Pastry’s post on making muffins. It is awesome. Thank you for spending some time with me today. Take care, and have a lovely day. This was a very informative and comprehensive explanation on the muffin method, I learned a lot. I mostly make whole grain(whole wheat flour) muffins because that’s better for my Crohn’s. How much more liquid should I add to the batter to make sure the muffins are moist? Should it be in the form of more oil? Or some Greek yogurt or milk? For example, how would you change your basic muffin recipe using whole wheat flour? Thanks!